The river Ganga is our national heritage. 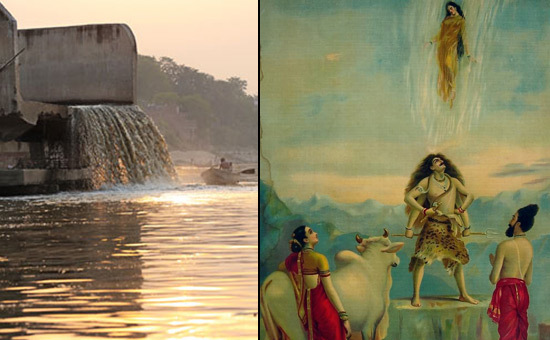 According to legend, when a sinner takes a dip in the holy Ganga, he/she washes away all the sins. This author with his family was recently in Varanasi to visit the famous Kashi Vishwanath temple which was desecrated by the Moghul tyrant, Aurangzeb, who built a mosque where the temple stood. It was Rani Ahalya Bai who recovered the Siva Linga from a nearby well and later got it installed in the new temple; Narendra Modi visited this temple after winning a landslide victory in the Parliamentary election. We went to witness the aarti on the banks of the Ganga, which starts every evening at 7 p.m. and is witnessed by lakhs of people, including foreign tourists, who come to Varanasi to witness this unique spectacle. Narendra Modi had wished to partake in this aarti before his election, but the UP Government had denied permission. 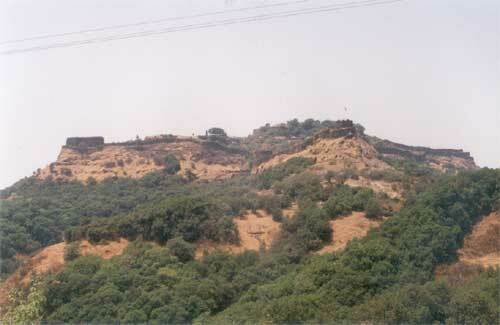 Along the banks are the famous Harischandra Ghat and Ahalya Ghat. It is here that Bharat’s most truthful king, Harischandra, demanded payment from his wife when she brought the body of their son for cremation; it is one of the greatest examples in Hindu history of the value of absolute truthfulness. There are several ghats on the bank of Ganga. Hindus believe that a human being cremated on the banks of Ganga gets salvation. Unfortunately, many throw away half-burnt bodies into this holy river. Now, the pollution of the Ganga is getting political attention. When Narendra Modi won from Varanasi he came and witnessed the famous “Ganga Aarti” and later gave Water Resources Minister Uma Bharati the task to clean the Ganga. What does it take to clean our holiest river? To understand, let us take a critical look at the state in which mother Ganga is now in. As we took a boat ride on the Ganga, we found our boatman fidgety as he rowed his boat. He had to control himself from spitting the betel nut juice in his mouth, as that would now invite a penalty of Rs 10000 or a jail term of three days under the new order of Uma Bharati. One may wonder what a little spit would do to the Ganga. The following details will show how the river has become so polluted, including from human spittle. In 1986, the government launched the first phase of Ganga Action Plan (GAP-I) to protect the country’s largest river basin. It selected stretches of the river along 25 cities in Uttar Pradesh, Bihar and West Bengal. In 1993, GAP-II was initiated which included the river’s tributaries - the Yamuna, Gomti, Damodar and the Mahanadi. On February 20, 2009, the Union government gave the Ganga the status of a National River and re-launched GAP with a reconstituted National Ganga River Basin Authority. The re-launched GAP took into account the entire river basin and emphasised the river’s need to have adequate water to maintain its ecological flow. But five years after the re-launch, pollution levels are still, to say the least, grim. Rivers have the ability to clean themselves - to assimilate and treat biological waste using sunlight and oxygen. But the Ganga gets no time to breathe and revive. There are more settlements and more people living along its banks. All take water and return only waste. 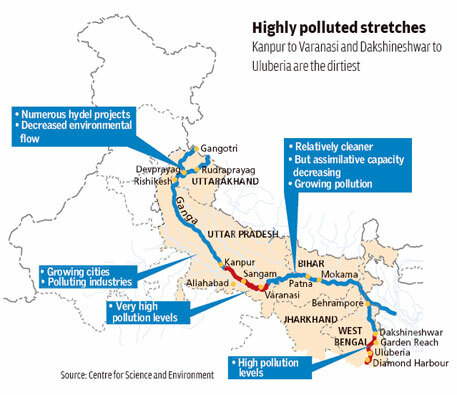 The Ganga dies not once but many times in its 2,500 km journey from Gangotri in the Himalayas to Diamond Harbour in the Bay of Bengal (see ‘Highly polluted stretches’ below). The July 2013 report of the Central Pollution Control Board (CPCB) shows unacceptable levels of faecal coliform, (E. Coli, a clear sign of human excreta, all along the river’s mainstream). It is even more worrying that faecal coliform levels are increasing even in upper reaches like Rudraprayag and Devprayag, where the river’s oxygenating ability is the highest. In these parts, water withdrawal for hydropower plants has put the river’s health in danger. As the Ganga flows down the plains, water is taken away for irrigation and drinking, so much so that during winters and peak summer months the river goes dry in many parts, and only sewage flows between its banks. The holy river is, thus, converted into a stinking sewer. Why is Ganga so polluted? Thirty-six settlements, classified as Class-I cities, contribute 96 per cent of wastewater draining into the river. According to CPCB’s 2013 report, 2,723 million litres per day (mld) of domestic sewage is discharged by cities along the river. But even this may be a gross underestimate as the calculation is based on the water that is supplied in the cities. As city managers often do not supply all the water that is used - much is groundwater - the actual sewage is often higher. This is what CPCB found when it measured the discharge from drains into the Ganga - 6,000 mld was discharged into the river. Needless to say, the capacity to treat this sewage is inadequate. But it is even smaller if we consider two facts: one, that the gap between sewage generation and treatment remains the same every year - 55 per cent. So even as treatment capacity is added, more sewage gets added because of population growth. The situation worsens if the actual measured discharge from drains is taken to estimate the pollution load. Then the gap between what is installed and what is generated goes up to 80 per cent. Over and above this, 764 industrial units along the main stretch of the river and its tributaries Kali and Ramganga discharge 500 mld of mostly toxic waste. All efforts to rein in this pollution have failed. The horror does not end here. These cities have grown without planning and investment, so most do not have underground drainage networks. Even in Allahabad and Varanasi 80 per cent of the areas are without sewers. Waste is generated but not conveyed to treatment plants. There is no power to run treatment plants; bankrupt municipalities and water utilities have no money to pay for operations. CPCB checked 51 out of 64 sewage treatment plants (STPs) along the Ganga in 2013 and found only 60 per cent of installed capacity was being used; 30 per cent of the STPs were not even operational. So actual treatment is even less, and untreated waste discharged into the river even more. Ganga’s journey through Uttar Pradesh - from Kanpur through Unnao, Fatehpur to Rai Bareilly and then Allahabad and Varanasi via Mirzapur - is killing. The river does not get the chance to assimilate the waste poured into it from cities and industries. 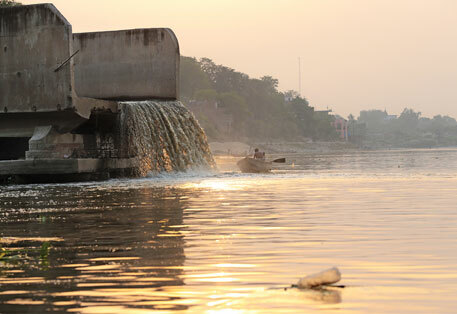 It is only in Allahabad that some cleaner water is added through the Yamuna, which helps it to recover somewhat. Then as it moves towards Varanasi, sewage is poured in again. It dies again. 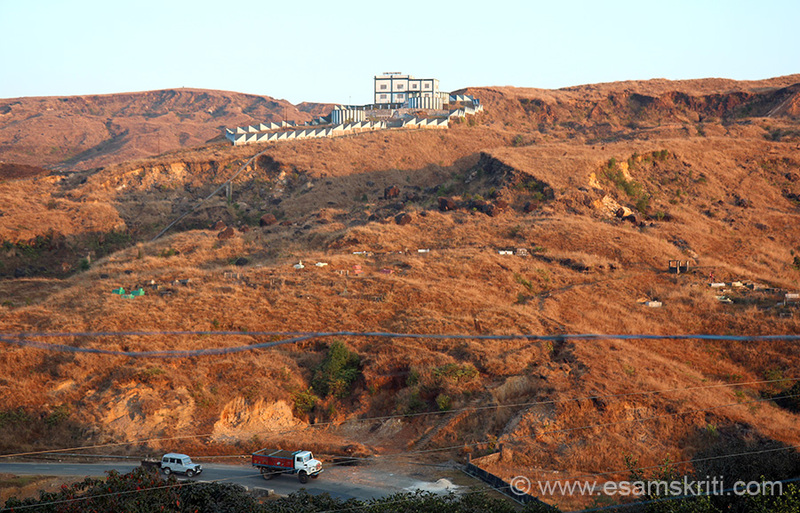 This land is where the poorest of India live; where urban governance is almost non-existent; and pollution thrives. In 2013, CPCB identified 33 drains along the Kanpur-Varanasi stretch with high biological oxygen demand (BOD), the key indicator of pollution. Of the 33, seven are big offenders, with high BOD load. Uttar Pradesh has 687 grossly polluting industries, the CPCB found. These largely small scale, often illegal units - tanneries, sugar, pulp, paper and chemical - contribute 270 mld of wastewater. But what really matters is the location of the plants. While over 400 tanneries contribute only 8 per cent of the industrial discharge, they spew highly toxic effluent into the river and are located as a cluster near Kanpur. So the concentration of pollution is high. And the law is helpless. In 2013, an inspection of 404 industrial units by CPCB showed that all but 23 did not comply with the law. Directions have been issued and closure notices served. But it is business as usual. Save Ganga Movement is a widespread Gandhian non-violent movement supported by saints and social activists across Uttar Pradesh and Bihar in support of a free Ganga. The movement is supported by Ganga Seva Abhiyanam, Pune-based National Women's Organisation (NWO) and many like-minded organisations and with moral support from many religious leaders, political scientists, environmentalists, writers and others. Ganga Calling–Save Ganga is another campaign supported by Indian Council for Enviro-Legal Action (ICELA). 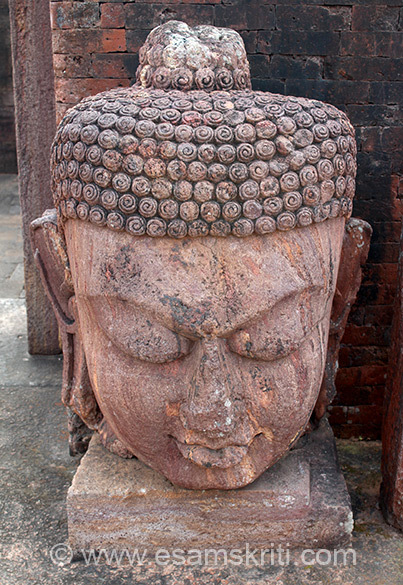 Ganga is the largest and the most sacred river of India with enormous spiritual, cultural, and physical influence. It provides water to about 40% of India's population in 11 states. It is estimated that the livelihoods of over 500 million people in India are dependent upon the river, and that one-third of India's population lives within the Ganges Basin. Despite this magnitude of influence and control by the river over present and future generations, it is allegedly under direct threat from various manmade and natural environmental issues. The river flows through the most densely populated regions, passing 29 cities with population over 100,000, 23 cities with population between 50,000 and 100,000, and about 48 towns. A sizeable proportion of the effluents are caused by this population through domestic usage like bathing, laundry and public defecation. Countless tanneries, chemical plants, textile mills, distilleries, slaughterhouses, and hospitals contribute to the pollution by dumping untreated toxic and non-biodegradable waste into it. It is this sheer volume of pollutants released into the river daily that are causing irreparable damage to the ecosystem and contributing to significant sanitation issues. Built in 1854 during British rule, the Haridwar dam has led to the decay of the Ganges by greatly diminishing the flow of the river. The Farakka Barrage was built originally to divert fresh water into the Bhagirathi River, but has since caused an increase of salinity in the Ganges, having a damaging effect on the ground water and soil along the river. Bangladesh and India face major tensions due to this barrage. The Government of India planned about 300 dams on the Ganga and its tributaries in the near future despite a Government-commissioned green panel report that has recommended scrapping 34 of the dams citing environmental concerns. Gangotri glacier which feeds the river Ganges is 30.2 km long and between 0.5 and 2.5 km wide, one of the largest in the Himalaya. However, due to global warming it has been receding since 1780; studies show its retreat quickened after 1971. Over the last 25 years, Gangotri glacier has retreated more than 850 meters, with a recession of 76 meters from 1996 to 1999 alone. The UN 2007 Climate Change Report has suggested that the glacial flow may completely stop by 2030, at which point the Ganges would be reduced to a seasonal river during the monsoon season. - Control of non-point pollution from agricultural run-off, human defecation, cattle wallowing and throwing of unburnt and half burnt bodies into the river. - Research and Development to conserve the biotic diversity of the river to augment its productivity. - New technology of sewage treatment like Up-flow Anaerobic Sludge Blanket (UASB) and sewage treatment through afforestation has been successfully developed. - Rehabilitation of soft-shelled turtles for pollution abatement of river have been demonstrated and found useful. - Resource recovery options like production of methane for energy generation and use of aquaculture for revenue generation have been demonstrated. - To act as trend setter for taking up similar action plans in other grossly polluted stretches in other rivers. But efforts to decrease the pollution level in the river became abortive even after spending Rs 9017.1 million, so the plan was withdrawn. Ganga is life, all Indians must join to save it.